The Jack Mountain Bushcraft School is approved by the Maine State Approving Agency for Veterans Education Programs for the use of GI Bill ® benefits as a non-college degree institution for training veterans and other eligible persons. The Wilderness Bushcraft Semester – 9 Weeks, Spring & Fall. The Boreal Snowshoe Expedition – 2 Weeks, Winter. The Wilderness Canoe Expedition Semester – 4 Weeks, Summer. Pay a deposit to hold your spot on the course. This deposit will be repaid to you 100% when we receive your tuition from the VA. To pay a deposit, visit our Tuition page. We will mail you a registration packet. Fill it out and send it back to us. With the packet, include your “Post-9/11 GI Bill Statement of Benefits”, that you get from Vets.gov. For more information on this document, scroll down. We’ll fill out form 22-1999 and send it to the Eastern Regional Processing Office in Buffalo, NY. We’ll need to get your social security number to fill out the form. We’ll do this over the phone. 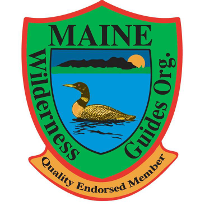 When filling out any paperwork with the VA, be sure to use our Maine address (PO Box 77, Ashland, ME 04732) and the exact wording on the course title (Wilderness Bushcraft Semester, Boreal Snowshoe Expedition, Wilderness Canoe Expedition Semester), or you will get a letter back saying we are not an approved school. Deposit Policy: Your spot on a course is not secured until we receive your deposit. Deposits are non-refundable and non-transferable in case of cancellation. If a course is already full, we will refund 100% of your deposit. Your deposit will be repaid to you 100% when we receive your tuition from the VA. If the GI Bill does not pay 100% of the tuition, the individual is responsible for the balance. We will figure this out in advance of the course. Facility Code: 28022019. Used by the VA to identify approved training centers. GI Bill Benefits: For more information on GI Bill benefits and their rates, visit the GI Bill site. The school will refund the unused portion of prepaid tuition and fees on a pro rata basis. Any amount in excess of $10.00 for an enrollment of registration fee will also be prorated. We have a catalog with pertinent GI Bill information. Download The JMBS Catalog (pdf). The Post-9/11 GI Bill Statement of Benefits is a document generated through the Vets.gov portal that provides details on remaining entitlement, eligibility percentage, and benefit end date for beneficiaries who have already applied for the Post-9/11 GI Bill. We encourage schools to accept this document in lieu of a Certificate of Eligibility (COE) to verify students’ entitlement and eligibility for Post 9/11 GI Bill benefits. The information is real-time data pulled from the same system used by VA education benefit processors. This downloadable statement will help reduce wait times associated with requesting a new COE and free up our Call Center resources to assist more callers. New applicants will still be required to apply on vets.gov, and will receive their initial COE in the mail after processing. Does the GI Bill cover 100% of the tuition? Yes. Veterans also receive their BAH (housing allowance). BAH is only paid while courses are in session. With the yearlong immersion program, during the interim periods between courses, BAH is not paid. What if I don’t have 100% of the GI Bill benefits to cover the course? The student is responsible for paying any tuition the GI Bill doesn’t cover. We require that this tuition balance is paid in advance of the course, as is our policy for non-GI Bill students. Will the GI Bill pay for college credits through Western State Colorado University? No. Western State Colorado University can not process GI Bill benefits for students enrolled at the Jack Mountain Bushcraft School. 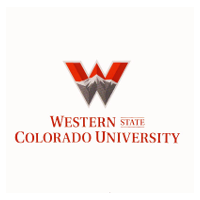 If you want to get the college credits that Western State Colorado University offers, you have to pay out of pocket for them. Online at www.gibill.va.gov through VONAPP (VA Online Application). Do I qualify for Post-9/11 GI Bill benefits? VA will send Chapter 33 (Post 9-11) tuition/fee payments directly to the school. All other payments will be issued to the student. The VA makes payment directly to the veteran by (1) direct deposit or (2) mailing a check to the mailing address on file at the VA. Under Montgomery GI Bill (Ch 30 and 1606) and REAP: If you attend school, you must verify your enrollment each month by using the WAVE or IVR system or by calling the toll free 1-877-823-2378. Remember that you cannot be paid for a month until the month is over and you verify that you were still in attendance for that month. Is there a representative of the VA I can contact to verify information about the Jack Mountain Bushcraft School? 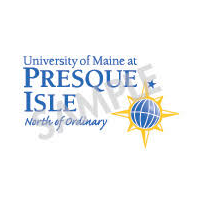 Contact the Maine State Approving Agency for Veterans Education Programs at http://www.msaa.maine.edu/contact_us.htm. You can also type ‘Jack Mountain Bushcraft School’ into the ‘Institution Name’ field on the WEAMS Institution Search page, but you must specify ‘Non College Degree’ as the program type. Will I receive BAH during the program? Yes. However, there is always a significant lag time between when the course starts and when BAH benefits begin coming in. Some past students experienced hardship as a result of not having any money saved for the beginning of the course. Plan to have spending money for at least the first month of the course before you begin receiving BAH.